Find Costco St. John’s Hours – 28 Stavanger Dr, St. John’s, NL, A1A 5E8 Warehouse. 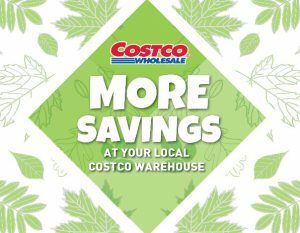 Get Costco St. John’s Flyer, Black Friday Deals, Cyber Monday Deals, Boxing Day Sales, Christmas Day Hours, regular store hours, weekly flyer specials, reviews, coupons, opening times, and the latest promotions & warehouse savings. Phone: (709) 738-8610. Warehouse Services: Food Court, Optical Department, Pharmacy, Tire Service Centre, Gas Station. Warehouse Departments: Fresh Deli, Fresh Produce, Inkjet Cartridge Refill, Oil Change, Service Deli, Bakery, Fresh Meat, Membership, Photo Centre, Rotisserie Chicken. View Costco 28 Stavanger Dr, St. John’s Flyer and Weekly Specials.